California Congressman Duncan Hunter had seen enough of the denigration of police officers in the Capitol. 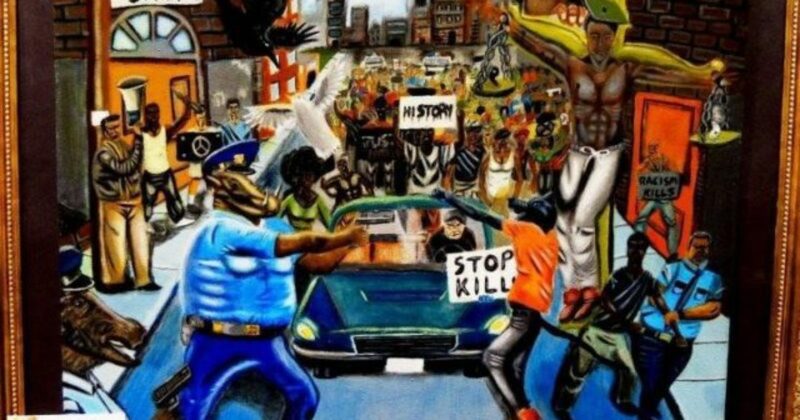 A painting hung on a wall in the Capitol by Democrat Congressman Lacy Clay depicts police officers as pigs. A Monday press release from the Congressional Black Caucus and Rep. Lacy Clay, D-Mo., whose office for months had sponsored the display of the student artwork, announced that Clay and CBC members will “rehang” the piece Tuesday morning in the Cannon Tunnel, according to Fox News.